Jennie Neumann is a woman to watch out for. Being hailed for her versatile voice and range she is ready to conquer the world one show at a time. Jennie hails from Vancouver, British Columbia, where music surrounded her at a very young age. Her family was privileged to many a living-room concert and reenactments of musical hits. Wanting to be just like her older sister, Jennie followed her footsteps into dance class taking up ballet, tap, modern, jazz and hip-hop. By the end of her training, she had completed her I.S.T.D. Imperial Advanced Modern, Ballet and Tap with Honours, and received a Ballet Scholarship from Surrey Festival of Arts. Switching schools in Grade 11 finally gave Jennie the opportunity to join a jazz choir. She received the Golden Vocal Award at Argyle Secondary in her final year. After a year of Academic studies, Jennie auditioned for a brand new Musical Theatre Diploma Program. She is proud to be a member of the inaugural class at Capilano University. It was there under the musical teachings of Kevin Michael Cripps that Jennie truly discovered her voice. While at school, Jennie played a number of roles, her favourite being Eve in Children of Eden. She also appeared on the television show Making It Big as a dancer. Graduating with Honours, Jennie’s final performance exam was the same day she started rehearsals for her first professional contract. She made her debut as the back end of a dancing cow and a Hollywood Blonde in the Arts Club’s production of Gypsy. That year she received the Ovation Award for “Outstanding Female Gypsy” and the Grace Macdonald Award for Most Promising Dancer. She has since worked for numerous West Coast companies including Chemainus Theatre, Carousel Theatre and Downstage Right Productions. 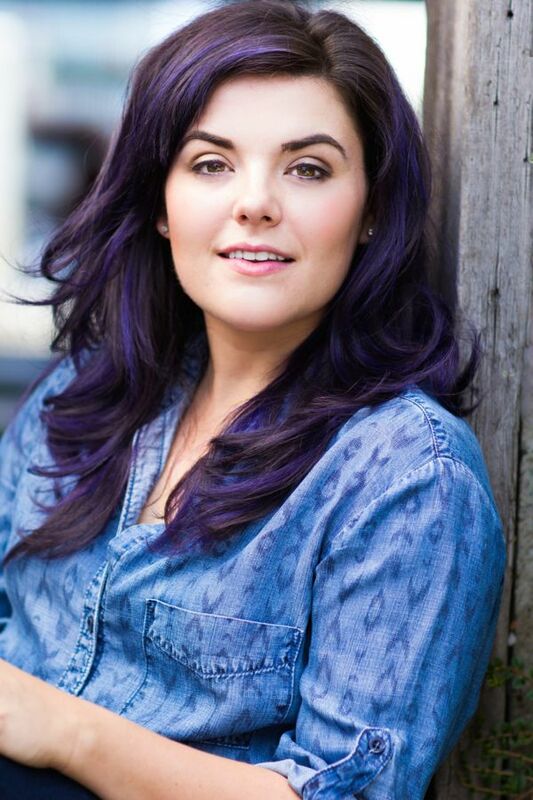 Jennie’s love of performing led her to producing theatre in Vancouver. She not only performed in, but also co-produced the critically acclaimed productions of And World Goes ‘Round, Songs For a New World and The Marvelous Wonderettes. She had the privilege of performing Songs for a New World for the man behind the music Jason Robert-Brown. It was with Carousel Theatre’s Seussical the Musical that Jennie received her first Jessie nomination for her portrayal of the Sour Kangaroo. That same year she was nominated with her costars of And World Goes ‘Round for Significant Artistic Achievement. Deciding to try her luck outside of BC, Jennie was thrilled to play Diana Barry in Theatre Calgary’s production of Anne of Green Gables. It was this show that convinced her to relocate to Toronto and start the next chapter of her life. Jennie hopes to be like her grandparents who at 95 are still playing the piano and singing “Can’t Help Lovin’ that Man of Mine”.